We at Eco Efficient Leeds are qualified and certified to provide quality services. Our technicians use their skills and expertise to carry out and complete the work with perfection. We come in to offer our help from the planning stage right to the completion of the work. Our engineers use proper control and equipments to develop the overall plan. Do you want to rely on your boiler for a long time? Hiring trained and experienced technicians and using the right equipment to draw the plan is the secret. Even if you have a boiler that uses the latest technology and has features that enable it to save energy and to be more efficient, it will not be effective if it is improperly applied or installed. By hiring expects like Eco Efficient Leeds, you are guaranteed of proper installation and other boiler services like servicing. 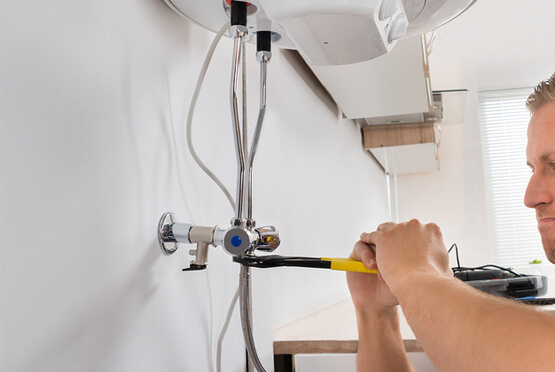 Improper installations pose a health risk and are a warrant for breakdowns and disruptions. The interruptions affect the availability of hot water and heat. We have knowledge and experience in boiler services such as installations, servicing, repairs and maintenance amongst others. The quality of our services exceeds the expectations of our clients. Our previous clients have always appreciated and have been impressed by our services; they speak highly of our company something which is evident from the testimonials on our website. You will find our services valuable as we will be there any time you need professional boiler services. One of the most important documents that you should be left with during boiler installation in Leeds is the operator manual. The document contains important information like how to troubleshoot simple problems and scheduled boiler maintenance. Operator’s manuals are easy to read and understand and should be kept safely but in an easily accessible place. Our technicians will leave the manual for you and explain anything that might be unclear therein. We have installed many boilers in the past so we understand the importance of following the most advanced methodologies and best practices in our work. All our installations are therefore safe and adhere to the set industry standard. During boiler installation, you need to make a number of decisions. Our technicians are there to offer you the best advice, which will ensure the most efficient products and services. The decisions will also help you to make some savings on the best products. We are very keen on the products that we recommend to you. All our boiler approved products are from established and trustworthy manufacturers. If you need advice on anything to do with boilers, we are more than delighted to offer you. We schedule all our boiler installation services in Morley, Wetherby, Headingley, Castleford, and Holbeck when you are available and most comfortable.